February 1, 2019  In 2002, the Patriots played against the Rams in Super Bowl 36. That was the beginning of a Patriots' dynasty. They are now playing in their eighth Super Bowl since that game. January 23, 2019  Louisiana's governor sent the NFL Commissioner a letter complaining about a missed penalty that New Orleans Saints fans say cost their team a chance to play in the Super Bowl. January 10, 2019  Bernice Sandler died Saturday at the age of 90. She once told NPR she beams with pride at seeing female athletes walk "with their heads up and feeling like, 'Yeah, I can handle this world.' 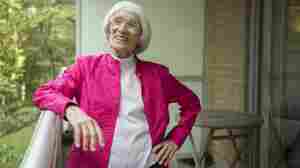 "
January 9, 2019  Bernice Sandler, who had a major hand in creating and helping pass Title IX legislation, has died at 90. The landmark federal civil rights law ensures gender equality in education and athletics. January 7, 2019  Alabama and Clemson play in the national championship game — again. It's the third time in four years they're meeting in the title game. Why are these two programs so consistently good? January 5, 2019  We have a roundup of the week in sports, including the latest on the Chicago Bears, quarterback Patrick Mahomes and the Baylor Lady Bears women's basketball team. January 4, 2019  The NFL playoffs begin this weekend and, like always, there's plenty of drama and intrigue both on the football field and off. Which teams will make it a step closer to the Super Bowl? December 29, 2018  A federal judge is expected to rule soon on a case that could upend the notion of amateurism in college sports. December 22, 2018  It's time to reflect on the highlights of the week in sports, including an agreement that would allow Cuban athletes to play Major League Baseball without defecting from their home country. December 12, 2018  A well-known voice on NPR in the 1990s, Tim Green is one of a growing number of former football players with the degenerative illness Lou Gehrig's disease. And he's not hiding it.